The success of Independence Day in 1996 warranted a sequel. At least that's how I think sequels work. Every fan is expecting it, but it didn't come after two decades. The original fans would be far older today and so it is only my guess that this sequel, Independence Day: Resurgence, is hoping to haul in a new fan base... check out its trailer. Roland Emmerich returns to take the directorial seat. Of course, there's a new set of cast compared from the original movie and they are Liam Hemsworth, Jeff Goldblum, Bill Pullman, Judd Hirsch, Vivica A. Fox, Brent Spiner, Charlotte Gainsbourg, Jessie Usher, Maika Monroe, and Sela Ward. Watch the new trailer of Independence Day: Resurgence. 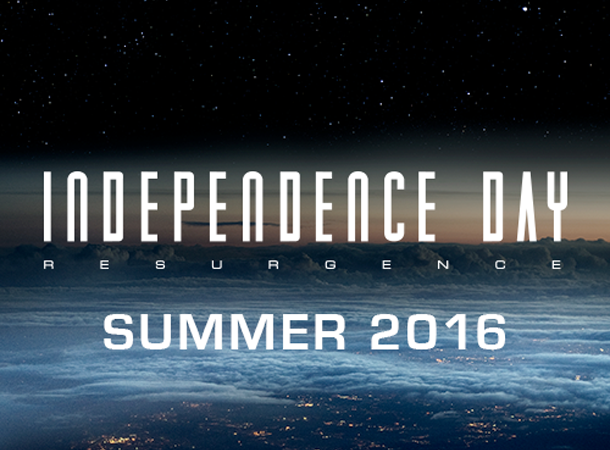 Independence Day: Resurgence will swarm in theaters on June 24, 2016. Is Angelina Jolie's 'Cleopatra' A Good Idea?